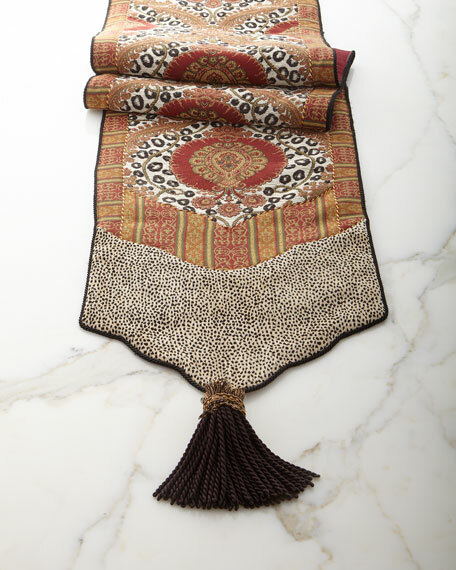 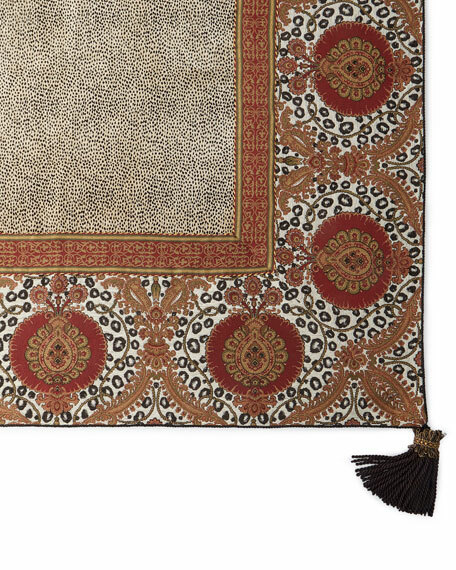 Pieced table runner features jumbo tassels, accented with cheetah animal-print and stripes. 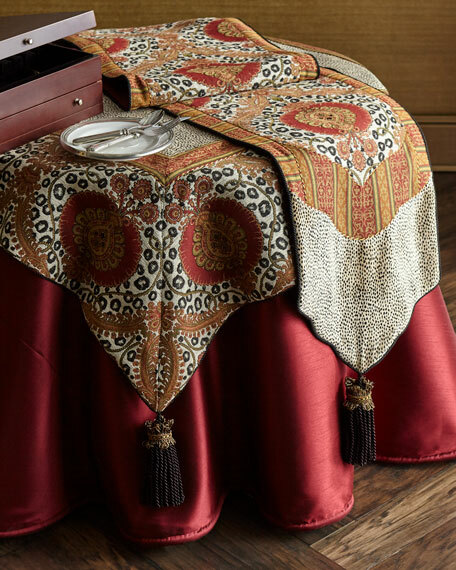 Square pieced tablecloth features jumbo tassels and a cheetah animal-print center. 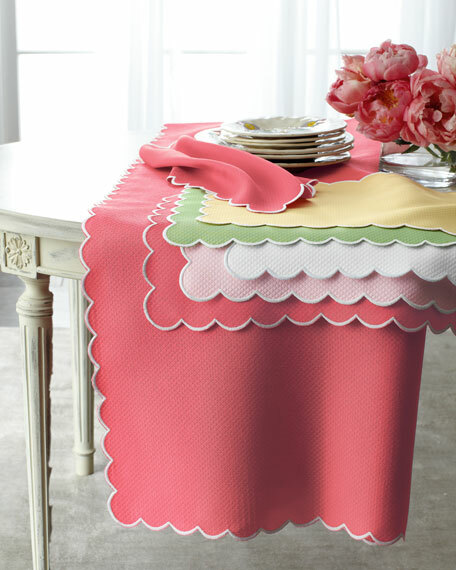 Round tablecloth with self piping edge. 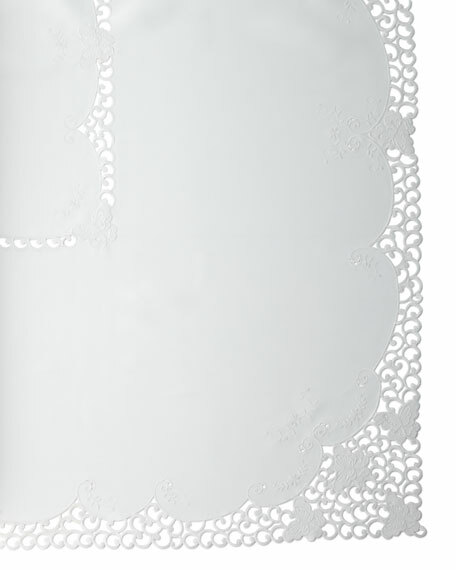 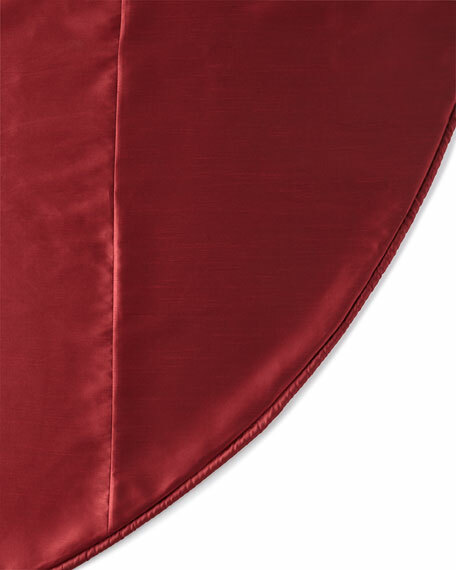 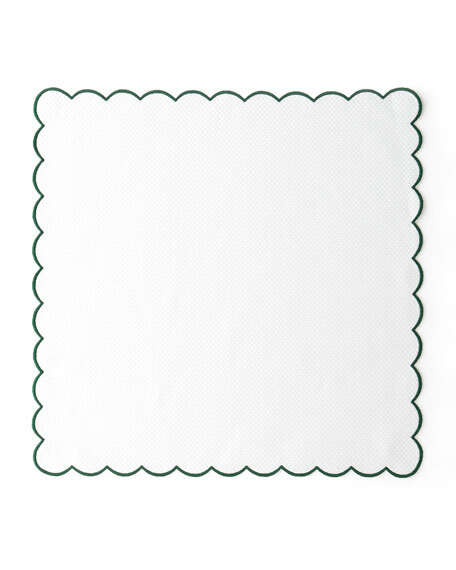 SFERRA Hemstitch Round Tablecloth, 90"Dia.